Contact dermatitis. 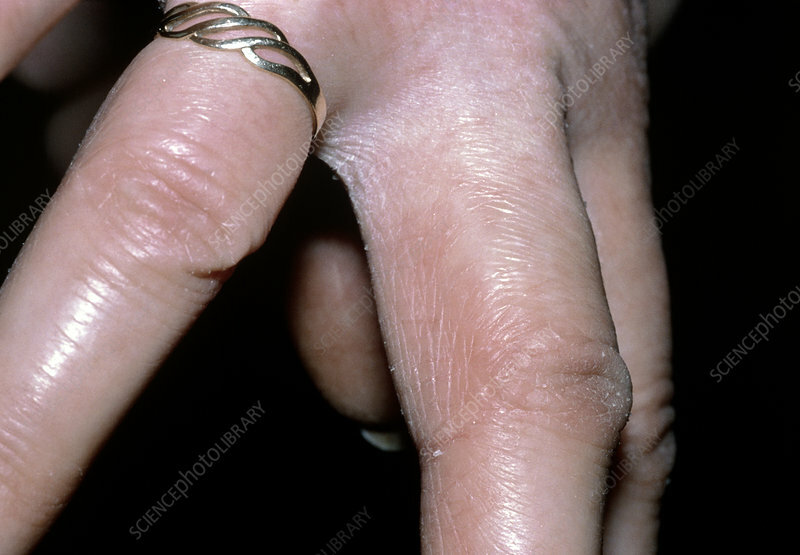 Close-up of a woman's fingers, showing inflammation and flaking of dried skin. This condition - contact dermatitis - is caused by contact of the skin with a particular chemical to which the patient is unusually sensitive. In this case the offending substance was a new brand of washing-up liquid that the woman had not used before. The rash disappeared when she stopped using the product.